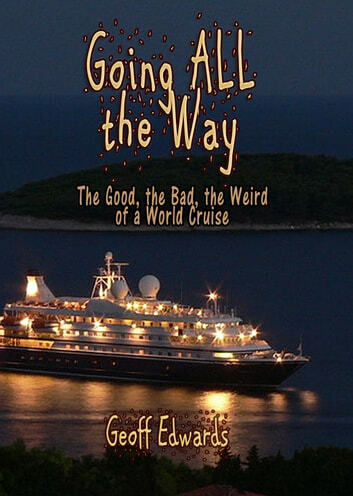 What you don't expect when on a world cruise could fill a book. And it did! On our first try we crashed off Egypt. The second try, we made it, but not without some wild stuff happening. I promise this book will make you laugh! A very good recollections of a cruise we would love to do.Alas our travel funds are deleted by past cruises already. We totally agree that Holland America is a great cruise valid. Thanks forward the realistic daily journals. It was very good. I have done a cruise and was very much like ours in all ways. Bought back great memories. 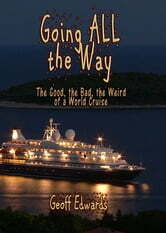 A well written and honest guide to world cruising and some of the places that you may visit. I think I did really well to read 47% of this book!! I certainly don't think I would chose to ever go on a cruise and certainly would not wish to meet the two main characters in a kitchen at a party. Sorry but it was boring and repetitive.